As an analytics practitioner, one of the most important things I try to teach marketers is how to properly tag their campaigns so we can report on the success of their efforts. To do this, I've created a guide for them to follow to make it easy to choose the proper UTM codes to have consistent campaign tagging across the business. 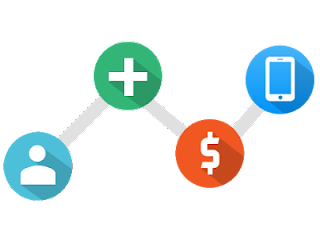 This allows us to begin to assign source and medium values to finance channels and usage metrics to really understand how each campaign performs in terms of our bottom line business metrics. Campaign -name of your overarching campaign - e.g. 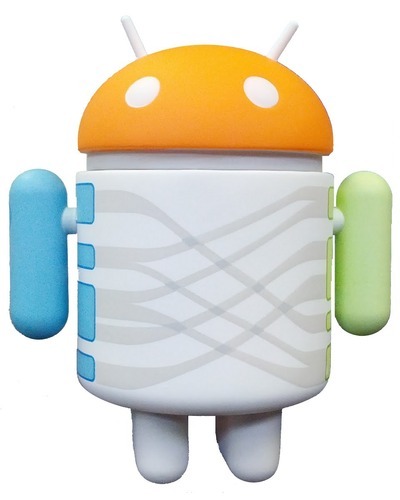 spring-2013-collection or summer-2013-announcements. Be sure to follow a consistent campaign naming structure. Medium - the medium used to send your campaign. Include “email” for an email campaign, “cpc” for ads, “social” for a social network or “landing-page” if you’re tracking button clicks from a landing page. Source - used to differentiate the type of medium. If medium = cpc, then source may be google, bing, or yahoo. If utm medium = email, source can be used to call out the action (try, buy, coupon, awareness, etc). Content - this is essentially a bonus field - it can be used to track many differentiating factors for your campaign. For example, you can use this field to track different versions of your email or landing page - e.g. “60-dollars-off” or “15-percent-off”. 1. Before launching your campaign, verify that your tags are working correctly. Open an incognito window and click on one of the links you set up to track your campaign. If your campaign’s objective is trial signup, try completing the trial sign up form. If your objective is redeeming a coupon, try redeeming the coupon. Try this with each tag created for your campaign (best practice is to clear your cookies in the incognito window before clicking each tag). For landing pages - make sure to go all the way through to your main site or objective. 2. Wait 24 hours (in a crunch data should populate in analytics within 4-6 hours but depends on volume). 4. 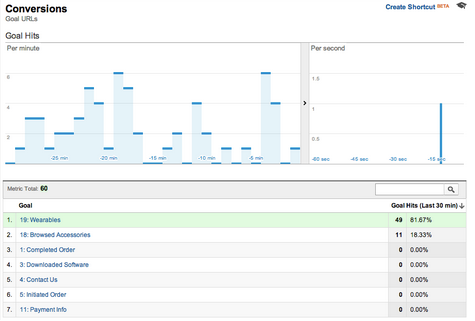 After signing into analytics you will be on the “Audience Overview” page. Click on “Traffic sources” - > “sources” - > “campaigns”. You should now see an overview of all clicks on your campaign. However, since you are in a non-standard report in GA sampling will likely occur (you may not see all - or even any of the test clicks on your campaign). Given sampling, you may need to export an unsampled report after all filters/segments are applied to your test - see step 9. 8. To drill down into the different elements of your campaign, click on the “secondary dimension” tab and type in the element - this could be “content” (shown below) or “medium” or “source”. The Google Analytics User Conference is back in Australia for 2013, hosted by Google Analytics Certified Partners. This year the conference will be held in both Sydney and Melbourne. Join local and international Google Analytics experts in Sydney on 19 June and Melbourne on 21 June. Google’s own Analytics Advocate, Justin Cutroni is returning as keynote speaker to present his expert advice and insights into Universal Analytics, a great new Google Analytics feature for onsite measurement across desktops, smartphones and tablets, and even the physical aspects of offline campaigns such as loyalty cards and billboards! After the sold-out success of the conference last year, Loves Data is keeping the momentum going with a great speaker line-up of Google Analytics experts from the US, Singapore and Australia, a special slot on YouTube Analytics and marketing and technical slots by experts from industry. View the conference program and check out the conference speakers. Book your conference ticket today before it’s sold out. 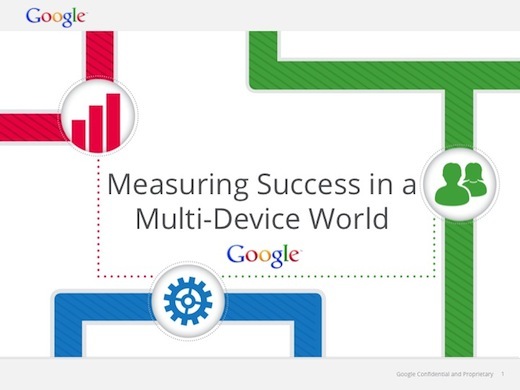 For conference updates follow Loves Data on Google+. The following is a guest post by Benjamin Mangold, Search & Analytics Director at Loves Data, a Google Analytics Certified Partner. A version of the following post originally appeared on the DoubleClick Advertiser Blog. 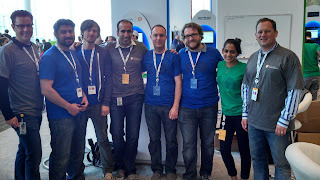 Our team at Google I/O! We also gave several great presentations on some of our new features. Our Developer Relations team also showed off some tools for multi-screen measurement here, so take a look if you didn’t manage to catch our livestream this past Thursday. 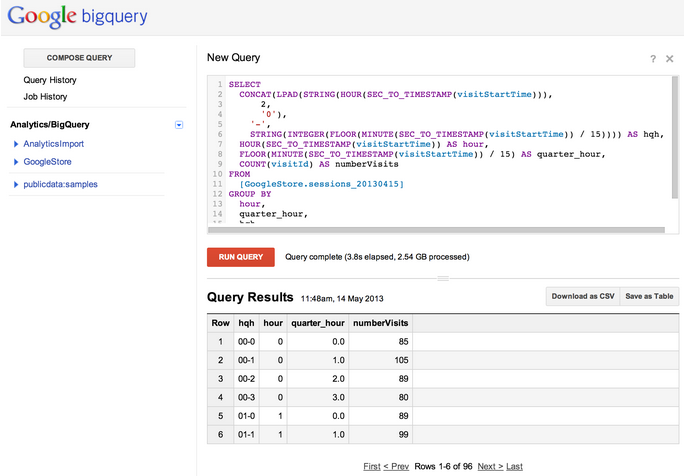 We also presented on dynamically configuring mobile applications using Google Tag Manager for mobile apps, and talked about Google Analytics and AdSense data analysis in BigQuery. It was great to see so many GA users and developers-- we can’t wait to see everyone next year at I/O! 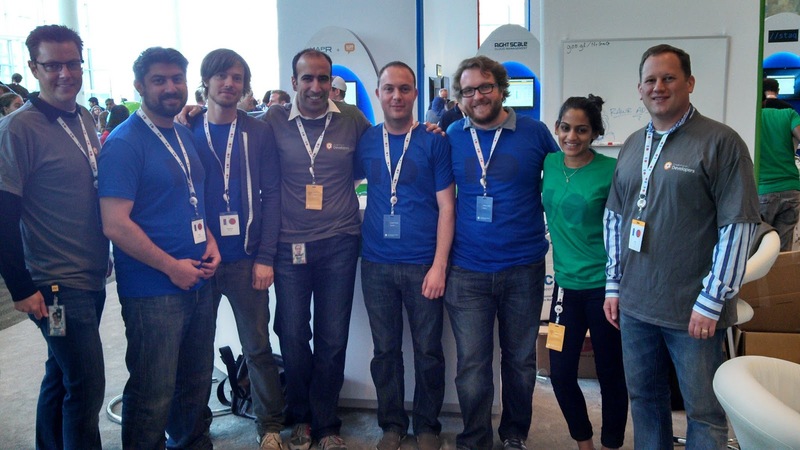 It was a busy week in San Francisco at Google I/O. We unveiled new products and features, such as deeper mobile app analytics integration with Google Play and Google Tag Manager for mobile apps. If you missed the earlier announcement, you can learn about our new features here. Mobile App Analytics, a re-imagining of app analytics from the ground up, speaking the language that matters to app developers and marketers. Since launch, the insights provided are already helping hundreds of thousands of app developers and marketers create more successful Android and iOS apps and experiences by measuring metrics at all stages: acquisition, engagement and outcomes like in-app purchases. This year at I/O, our team continues to improve mobile analysis with two announcements: Mobile App Analytics Play Integration and Google Tag Manager for Mobile Apps. These updates, to be available for all users shortly (with links below to help you get on early whitelists) will let you better measure a mobile world and use your data in more ways to improve the customer experience. We’re excited to announce a long-anticipated integration of Mobile App Analytics more deeply with Google Play. It’s especially exciting for app developers and marketers because it’s the first time we’re presenting a complete view of the Play acquisition funnel in one clear, easy to understand report. Google Play traffic sources: understand which traffic sources and Google search keywords account for most new users. Campaign sources will help you refine your app marketing mix in order to focus on those campaigns and programs that bring the highest quality traffic. Google Play views: at the very top of the app funnel, you’ll want to understand clearly how many views your app is receiving in Google Play from each campaign or source. Installs: installs simply shows the number of users who actually installed your application from Google Play. It’s useful here to determine which sources are successful at driving installation. New users: beyond installs, new users shows you how many users actually launch your application. This is a key metric to see even beyond installations and tracing the path up the funnel. As this report is using flow visualization, you can also select any path you wish to analyze further which will highlight that path and present useful data points along the funnel such as drop off rate. Ever want to make a small tweak to your mobile application but your users have already downloaded your app? Ever forget to add analytics to a key event until it’s too late? Shipping your app usually means you have one chance to get it right, and that’s not the best way to build a business. With Google Tag Manager for Mobile Apps launching in beta, you can dynamically configure your mobile applications on Android and iOS server-side. You can hone your app for various audiences, and you’ll never get caught by old versions or forgetfulness again. Google Tag Manager for Mobile Apps uses Google Tag Manager’s sophisticated rule-based serving engine and easy-to-use management interface to make it a snap for developers to make changes to their applications, even after an app has been downloaded by users. Now changing the configuration of your application or rolling out a new feature is as easy as going to the Google Tag Manager web interface, changing a couple of values, and then pressing a Publish button. Changes go live in seconds. You can configure virtually anything in your application: from ad values such as frequency and duration and UI settings like colors and layout, to time-based events such as in-app promotions and special events. Sign up for the whitelist to be among the first to try out GTM for Mobile (you’ll need to first visit the Google Tag Manager site and create an account if you haven’t already). We’re excited to continue to push the envelope with what analytics can do across devices and platforms and cater to developers with tools they want. Last year at I/O we launched Mobile App Analytics, a re-imagining of app analytics from the ground up, speaking the language that matters to app developers and marketers. Since launch, the insights provided are already helping hundreds of thousands of app developers and marketers create more successful Android and iOS apps and experiences by measuring metrics at all stages: acquisition, engagement and outcomes like in-app purchases. Ariat.com - is an ecommerce sales channel, a branding tool, and a medium to feature their channel partners. Its goal is to facilitate the entire buying cycle from awareness to loyalty. In 2010, Ariat invested heavily in digital by creating a powerful new website. In order to justify the cost and report a return on investment, the new website would require a comprehensive web analytics and reporting program. Beyond just evaluating key performance indicators (KPIs) for e-commerce, such as revenue and conversion rate, Ariat needed to measure the effectiveness of their new merchandising and promotional features, and also the effectiveness of various digital marketing channels. Ariat reached out to SwellPath to assist in the evaluation of analytics tools and general consultation on the measurement strategies for their new site. SwellPath determined that Google Analytics was the right tool for the job, based on its flexible measurement capabilities and advanced analysis tools. They then created a custom measurement strategy and analytics framework to align the data with Ariat’s business goals. This framework ensured that they could measure the effectiveness of their internal promotional campaigns, shopping tools and product page features, and all digital marketing channels. SwellPath also introduced Ariat to “micro-conversion” metrics. These are actions that may not be a straightforward goal completion, but rather support the conversion process or have their own inherent value. For Ariat, this included email signups, sharing content with social media buttons, and outbound clicks to channel partners. Ariat’s new website launch has been a huge success thanks to data-driven improvements made from the very beginning. Being able to measure and optimize the many features of the shopping experience allowed them to identify improvements that decreased cart abandonment by 18% and increased conversion rate by 14%. Acting on these opportunities so soon after launch allowed them to save large amounts of potentially lost revenue, and avoid customer irritation through a simpler checkout experience. Merchandising promotions on the homepage were also optimized based on insights from custom analytics data. The ecommerce conversion rate for visitors interacting with these promotions rose over 80% from 2011 to 2012. Consistent digital campaign tracking and attribution analysis identified key success factors in email campaigns, social media marketing, and display campaigns. This allowed for optimal budget planning and campaign optimization resulting in a 14% year-over-year increase in the ecommerce conversion rate for those campaigns, and a 17% increase in per-visit value. Using advanced analytics and measurement tactics with Google Analytics allowed Ariat to quantify the improvements to their website, revealing a fantastic ROI and providing many opportunities for future growth. Ariat is the leading equestrian footwear and apparel brand in the United States. Their website - Ariat.com - is an ecommerce sales channel, a branding tool, and a medium to feature their channel partners. Its goal is to facilitate the entire buying cycle from awareness to loyalty. supporting profiles, 4 key analysis improvements as well real-time widgets available for dashboards. But have you ever looked at your real time report and thought, “wow check out how many visitors I have today, I wonder if any of them are converting?” We had that same question and so we are happy to announce the beta launch of our new real-time goals report! 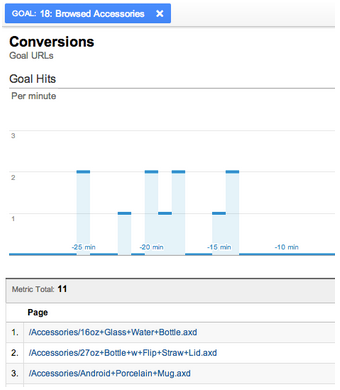 Now you can monitor in real-time how many of your website visitors are converting and against what goals. Use this feature to track the live results of how your new email newsletter, ad campaign or TV commercial is performing. 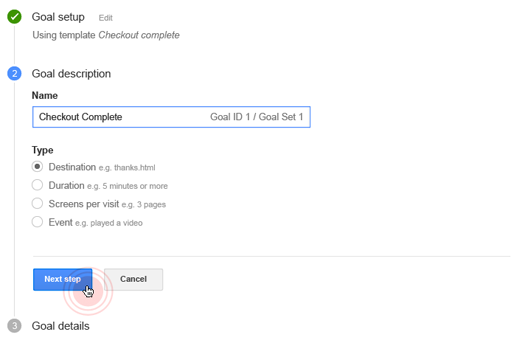 An important note, with this first launch we’re introducing URL based goals only. 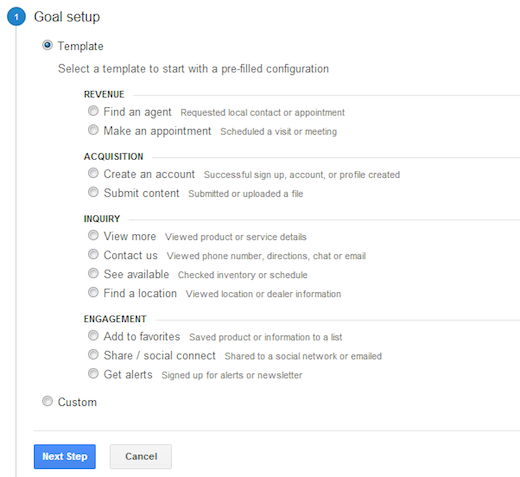 So computed goals such as Time on Site or Pages / Visit are not included yet. For ease of use, you will see all goals that are being tracked in the UI regardless of whether there have been any completions in the past 30 minutes. 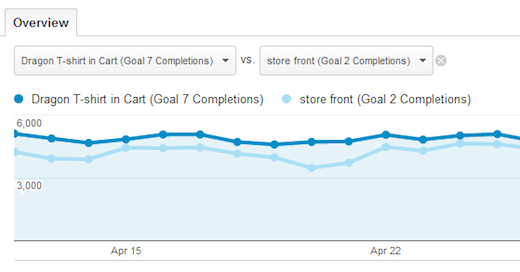 As with the rest of the real time reports, clicking a specific goal will automatically segment that report. 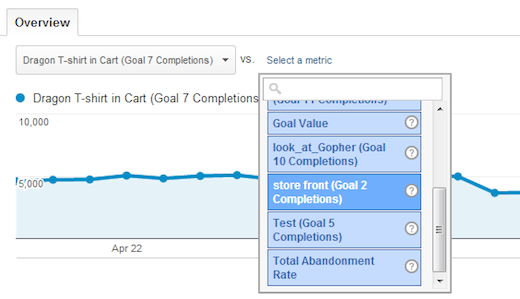 Basic filters also apply to goals so you can analyze goal completions from a specific location or other dimensions you care about. So now, the next time content on your site goes viral, you get a hot mention in the media, or large social traffic spike be sure to check out your real-time goals report to see in real-time the bottom line impact. 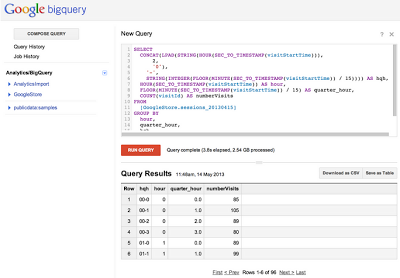 Over the past year, we’ve been making continued improvements to the Real-Time reports in Google Analytics. Significant updates include real-time now supporting profiles, 4 key analysis improvements as well real-time widgets available for dashboards.